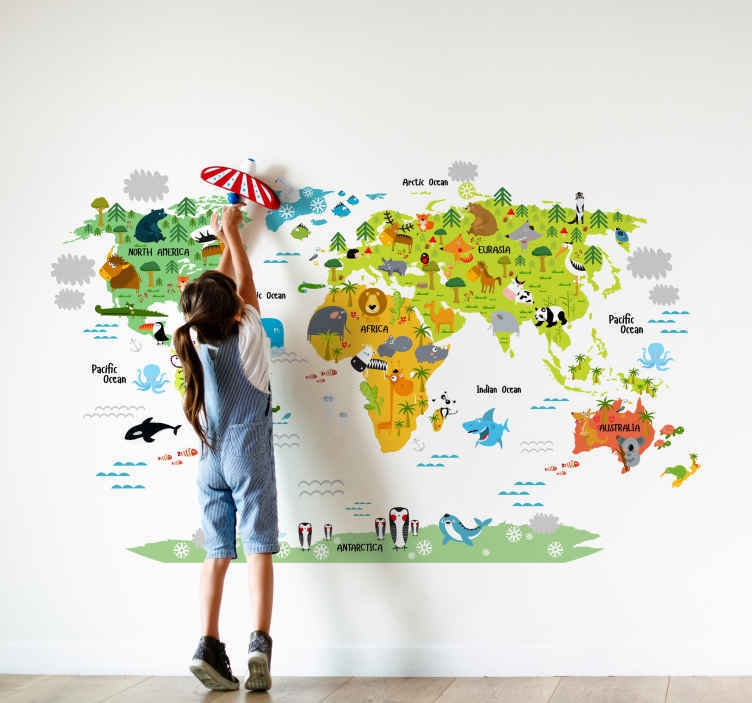 Children's wall sticker showing an illustration of the world map alongside lots of playful animals. This unique colourful animals wall sticker is ideal for decorating a child's bedroom or nursery as it is entertaining as well as fun. This high quality vinyl decal is available in various sizes and is very easy to apply. It leaves no bubbles and no residue when removed.